First, looking at the actual viewing angle, Earthbound's got it the lowest. I actually really like that angle, but the issue of "stuff being behind other stuff" is more of an issue there than it would be in a more overhead angle. Of course, the player gets to see more of the objects this way too (look at the building fronts compared to the more overhead games). With that angle, in that particular game, there's no scaling for distance (nor could I find an old school example that had one). Do we care? A more overhead perspective means more of the walkable space is viewable. 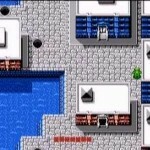 Alternatively, a lower perspective might mean less walkable space rather than less viewable space, if the player can only walk in viewable space. This is, of course, pretty unrealistic, but also fairly common. 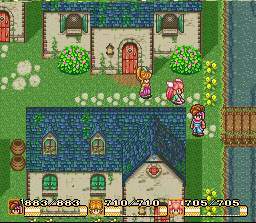 I'm pretty sure in Secret of Mana, you cannot walk "behind" that front most house, for example. Some games feature different viewing angles for different things. Check out the Jackal screenshot in particular. 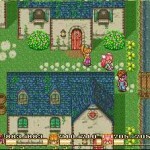 The jeeps and houses are seen from almost directly above, but the characters are at closer to a three quarters angle. It's as if they're all leaning over really far at the ankle. Do we care about that? 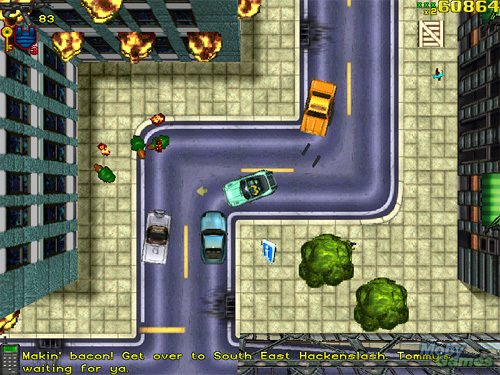 The original GTA is the only game that has the "real" overhead perspective for people. 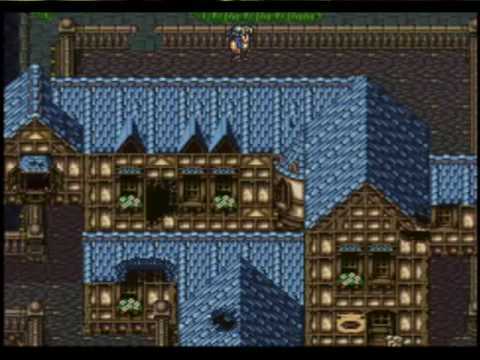 I could not find a single example of an old school game with the grid on a 45 degree angle (so that the corners of buildings are at the bottom, rather than a flat side). This makes sense, as controls are oriented on the axes, so controls would be a pain. Either the character would constantly be moving off the grid of the world, or the controls themselves would be shifted 45 degrees as well. Neither is ideal. 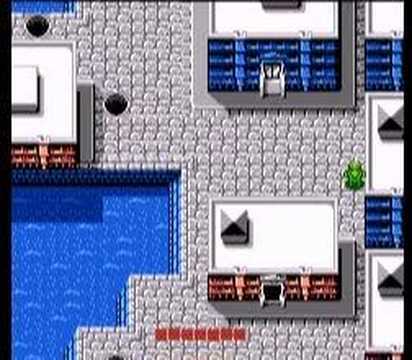 Earthbound has the most skewed view this way, but actually distorts the world to do it, putting vertical streets non-perpendicular to horizontal ones. Most games seem to feature a flat ground with "leaning" objects. That is, we're looking straight down, but can somehow see the fronts of things anyway. Anyway, I'd appreciate your thoughts. Also, if anyone happens to be interested in doing some pixel art for fun (but not profit), whether a couple things here or there or a lot, you should get in touch with me (steve AT platypotamus DOT com). 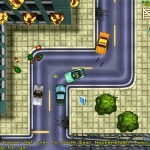 This entry was posted on Thursday, September 2nd, 2010 at 12:22 pm	. You can follow any responses to this entry through the RSS 2.0 feed. Both comments and pings are currently closed. The desired perspective is definitely dependent upon gameplay. Arcadey-action; we talking Contra, TMNT, River City Ransom? 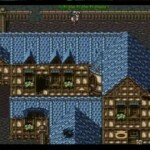 Is side-scrolling out of the question or not sufficient for gameplay? 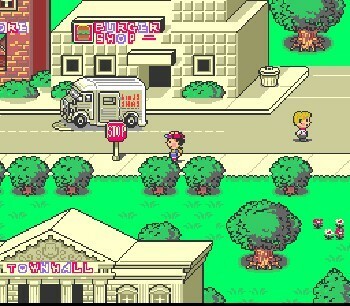 Earthbound has great perspective in relation to other SNES-era RPGs; it draws the player into the scene more. Immersion may not be as important in an action game though. I dislike completely overhead views like GTA's from an artistic standpoint, but depending on the project, they may fit the game's needs. 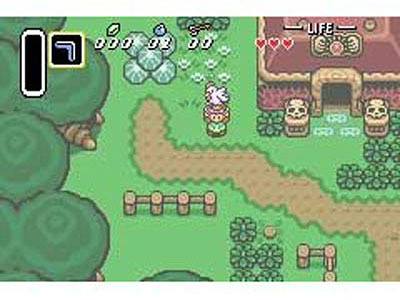 Multiple views may work as well, as in TMNT (overhead for overworld, side-scrolling in sewers).